Mobile gaming is known for being affordable, and publishers love to put games at a low price. Unlike Steam, PlayStation Network, or even the Nintendo eShop, mobile games traditionally go on sale for low prices in order to convince interested app store users to put down money on a game, so some of the best titles available on mobile tend to run the gamut from just 99 cents to $4.99 or $5.99. Whether it's a Tamagotchi mobile pet or a pocket monster game similar to Nintendo's Pokémon, there's a little bit of everything available for just $1 online. For both iOS App Store shoppers and Android's Google Play Store users, here's some of the best games available for $0.99 each. Remember the virtual pet craze over Tamagotchi from the '90s? Well, Bandai Namco brought the series back once again, this time for mobile phones. Called Tamagotchi Classic, this smartphone app mimics the original Tamagotchi handheld device by letting players feed, clean, and play with their Tamagotchi pet on their iOS or Android device. And for smartwatch users, Tamagotchi Classic even supports Apple Watch, letting players check on their Tamagotchi while in a meeting or on-the-go. Scribblenauts Remix wasn't always $0.99, but once Warner Bros. decreased its price in 2011, the game quickly became one of the most popular mobile titles on iOS and Android to date. Based heavily on both Scribblenauts and Super Scribblenauts, Scribblenauts Remix takes 40 levels from the first two games and adds 10 new additions onto the game, letting players solve puzzles by spawning objects with adjectives and nouns. Enormous in size and incredibly hilarious, Scribblenauts Remix makes a great addition to any gamer's mobile library. 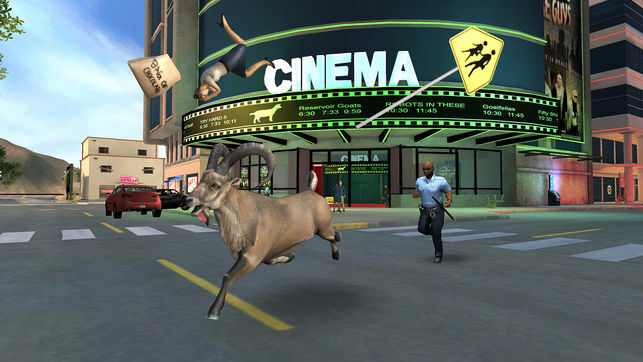 Coffee Stain Publishing's mobile version of Goat Simulator brings the classic humor game's open-ended goat-em-up gameplay to iOS and Android in a port that stays true to the original game. If you're looking for something humorous parodying both simulator shovelware and Tony Hawk's Pro Skater, Goat Simulator is worth picking up for certain. Be warned, however, this game only costs 99 cents on iOS; the full game costs $4.99 on the Google Play Store. Interested in destroying the world population with your very own plague? Now you can, and all from the comfort of your smartphone. 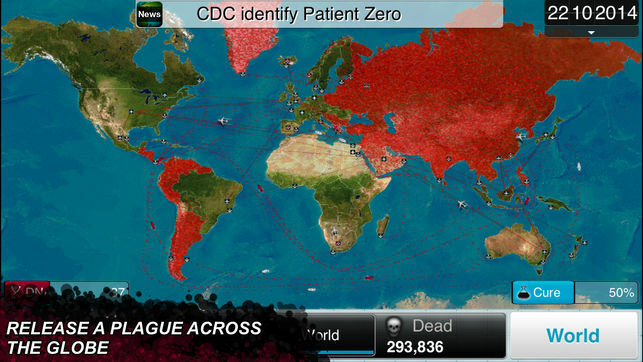 Plague Inc. lets players control and maintain a deadly illness unleashed onto the world, causing an enormous international epidemic that leaves millions wounded or killed. Evolve your virus and find ways to further spread your disease before world governments figure out how to quarantine and wipe out your illness in this incredibly addicting real-time strategy game perfect for mobile gameplay. Interested in a mobile game similar to Pokémon? That's Nexomon in a nutshell, a pocket monster game that tasks players with exploring a world inhabited by creatures called Nexomon. 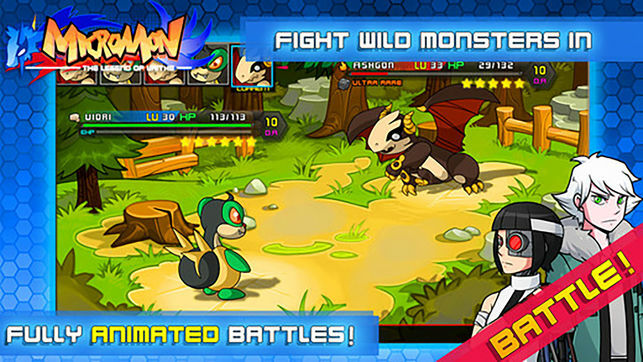 In Nexomon, players can fight AI trainers in turn-based combat and capture new Nexomon using Nexotraps. Fitted with its very own RPG story and party characters, Nexomon is easily worth a purchase for just $1. Parkour Flight plays around with physics to create a simple (and somewhat hilarious) stunt game where players have to perform mid-air parkour tricks to score points. Players can carry out backflips, gainers, and other moves in-game, too, as long as they're able to execute their movements before they land. Be warned, while the iOS version is $0.99, Parkour Flight's Android edition is actually $1.49. Inspired in part by Hitman: Absolution's preview demo Hitman: Sniper Challenge, Hitman Sniper casts players as Agent 47 as he snipes at assassination targets from afar. Players can choose to go as loud or as quiet as they'd like, either outright killing enemies one-by-one out in the open, using environmental triggers to make deaths appear to be accidents, or shooting bodies so that they fall off bridges and remain hidden from sight. While Hitman Sniper certainly isn't identical to IO Interactive's Hitman 2, it's still an enjoyable spin-off experience that any fan can enjoy on mobile. Ah, Doodle Jump. One of the most popular mobile games to date, Doodle Jump first launched in 2009 and quickly became enormously popular among iPhone users. The game later came to Android and various other mobile operating systems, as well as Xbox 360 and Nintendo 3DS. 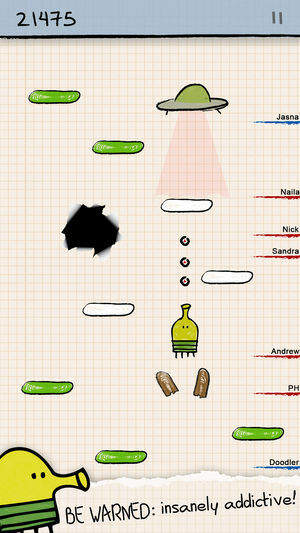 In Doodle Jump, players try to jump as high as possible by repeatedly launching from platform to platform while in portrait mode. If the player falls, they lose. Doodle Jump is available for free, but the game's paid version removes ads, adds UFOs, and takes away the game's limit to how high The Doodler can go. Doodle Jump is a classic, and if you don't have it already, now's the perfect time to give it a shot. 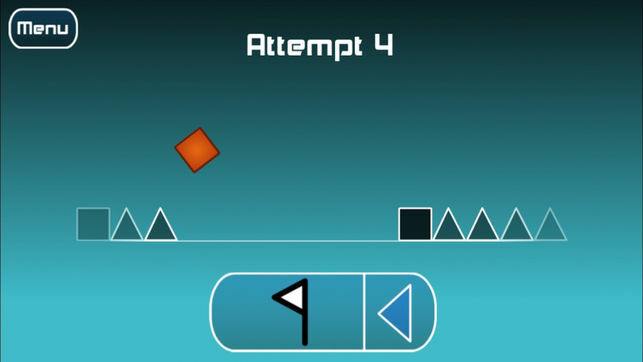 Another old-school classic, The Impossible Game has players take control of an orange square and jump over dangerous obstacles in an attempt to finish an enormously difficult level. Expect to die a lot on your way to the end. The mobile version lets players jump by just tapping on the screen, and the game also features a Practice Mode that lets players use checkpoints to get through specific segments. Often hailed as one of the best mobile games available for both iOS and Android, Badland casts players into a side-scrolling platformer adventure in a forest world that's as immersive as it is dark and twisted. Players must avoid traps, overcome obstacles, and solve physics-based platforming challenges to progress through the game, which even supports multiplayer co-op. If there's one mobile game to make sure you have on your smartphone, go with Badland for sure.